The Feast of the Archangels is upon us, a time to reflect on these often mysterious messengers of God, and the help they never cease to provide to us in our spiritual struggle. While there are innumerable “bodiless powers” in heaven, the Church celebrates three in particular for the integral roles they have played throughout the history of God’s people. Here are some intriguing things you may have never known about Michael, Gabriel, and Raphael, who we celebrate every year on September 29th. While St. Michael has a millennia-old reputation as a warrior, commander, protector, and all-around badass, early Christians considered him to be a healer. As soldier-martyrs like St. George, St. Demetrios, and St. Theodore gained popularity, the emerging Church prayed to St. Michael for the ill and injured. This began to change in the early 4th century when a certain painting depicting the archangel defeating a dragon became popular after one of Emperor Constantine’s military victories, and that motif remains one of the most well-known images of St. Michael to this day. 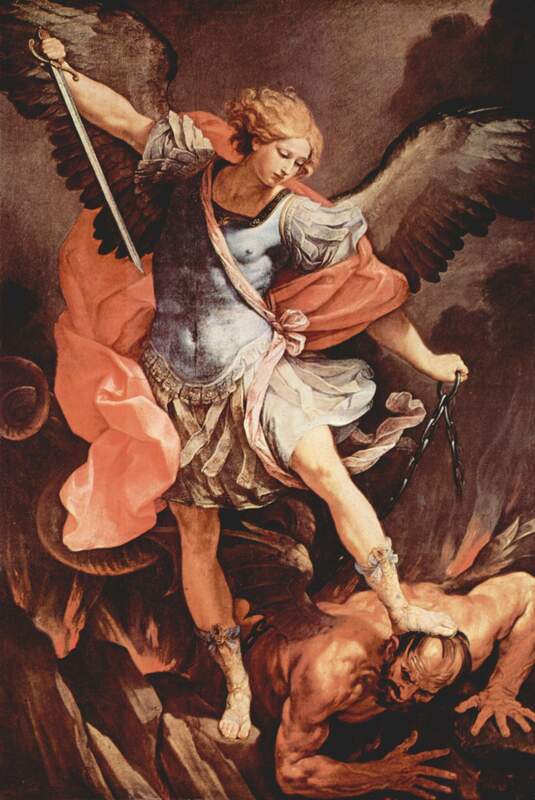 There are several instances in the Old Testament where Michael struggles for Israel and its people against his archenemy Samael, an evil angel thought to be synonymous with Satan. He appears three times in the Book of Daniel where he informs the prophet that he is the protector of the Jewish people, and will arise in the end times to deliver those whose names are written in the Book of Life. Rabbinical tradition holds that Michael was closely involved in some of the most crucial events in early history of the Hebrew people. It is believed that he announced to Sarah she would bear a son, stopped Abraham from sacrificing Isaac, and was the angel who wrestled and blessed Jacob. Church tradition teaches that Michael is not only our protector in this life, but in the next as well. He most especially protects the soul at the hour of death, and rescues souls from Purgatory. Like Michael, Gabriel also has cameos in the Book of Daniel. He explains, interprets, and reveals the hidden meanings of Daniel’s visions. The visions and Gabriel’s explanations of them are so overwhelming that Daniel “lay[s] sick for many days” afterward. In these passages, Gabriel functions not only as a messenger, but as a revealer and bearer of arcane wisdom. While the book enjoys canonical status only in the Ethiopian and Eritrean Orthodox Churches, it is nonetheless a fascinating work that chronicles Enoch’s visits to heaven, and tells the story of the infamous nephilim, offspring of angels and humans. In the book, Gabriel is tasked with destroying the nephilim by causing them to war with each other. He is described as “one of the holy angels, who is over Paradise and the serpents and the Cherubim.” Enoch later describes seeing him in heaven with Michael, Raphael, and an angel named Phanuel. Perhaps Gabriel’s most famous appearance was at the Annunciation, but he also announced another very important New Testament birth. He was the angel who appeared to John the Baptist’s father, Zacharias, and told him that his barren wife Elizabeth would bear a son. When Zacharias didn’t believe him, Gabriel was not having it, and struck him mute until his son’s birth. Raphael plays a pivotal role in the Old Testament Book of Tobit. Calling himself Azarias, Raphael guides the blind Tobit and his son Tobiah through the desert, fights off a demon, and restores Tobit’s sight. He also delivers Tobiah’s fiancée Sarah from a demon’s curse. Many depictions of St. Raphael picture the angel holding Tobiah’s hand as a dear friend, and for this reason he has a reputation as being the most approachable archangel. This may be why Church tradition often considers him to be the unnamed angel in John 5 who moves the waters of the pool of Bethesda. As the story goes, an angel would at certain times disturb the waters of the pool, after which the first person to enter it would be miraculously healed. Because of Raphael’s reputation as a healer, it made sense to many Church fathers and interpreters of Scripture that he would be this anonymous angel. St. Raphael’s list of patronages is perhaps the longest, and touches almost every aspect of human existence. He is considered the patron not only of bodily and mental illness and almost every conceivable field that treats them, but also of apothecaries, brides, newly married and engaged couples, lovers, matchmakers, happy meetings, travelers, pilgrims, sailors, those who suffer from nightmares, shepherds, and young people. This week, spend some time with the archangels in your prayers, and honor their feast by attending Mass on the 29th. Remember to give thanks for these unbelievably cool beings who are always looking out for us and helping us to grow into the people God meant for us to be!